Novosibirsk, Russia and Widnau, Switzerland: April 20, 2016 – LEDAS announced today that CAD Software Solutions has licensed LGC (LEDAS Geometry Comparison) technology for developing Inventor Plug-in. LEDAS is a developer of engineering software and provides software development services to the CAD/CAM/CAE/PDM/PLM market. CAD Software Solutions develops CAD tools for working efficiently with large models and assemblies. CAD Software Solutions developed its new LGC-based 3D comparison software for making fast and user friendly comparison inside of Inventor from Autodesk. The company plans to deliver Inventor Plug-in to the market this year. Inventor Plug-in is the first software based on LGC being delivered to end-users by CAD Software Solutions. The company plans to consider other CAD platforms for further LGC-related development. LEDAS Geometry Comparison makes it easy for developers to implement comparisons of 3D models, clearly pinpointing differences. The differences are shown as groups of modified faces. 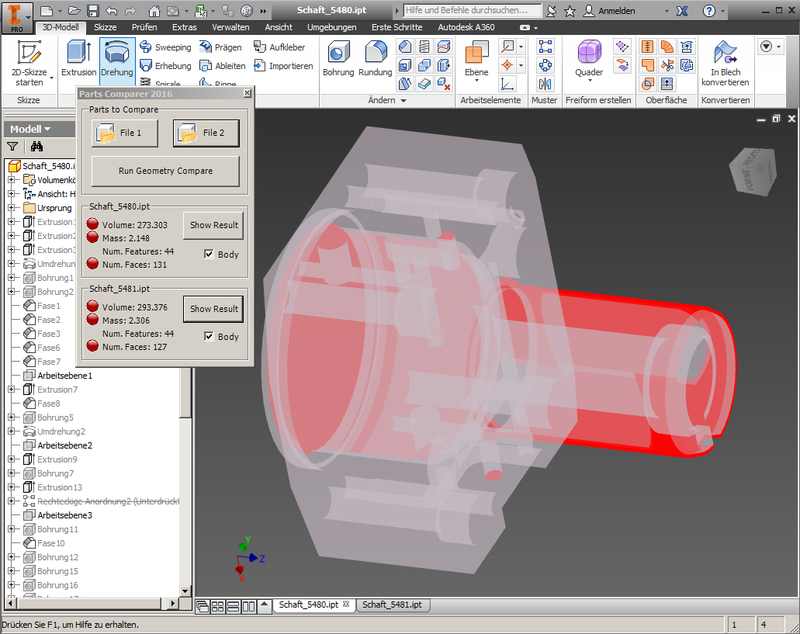 The plug-in supports an extensible set of open and proprietary 3D part and assembly CAD formats. As cross-platform code, LGC runs on 32- and 64-bit Windows and Linux, in traditional and parallel MPI (message passing interface) versions. For more information, we invite you to visit ledas.com/products/geometry_comparison. LEDAS is a private, employee-owned software company founded in 1999. It is well-known for developing constraint-based tools and component technologies for the CAD, CAM, CAE, and PDM markets. LEDAS provides R&D and consulting services in the field of engineering software. More information about LEDAS is available at www.ledas.com.